Fur oil, kegel exercise trackers, esthetician-imagined skin supplements, vibrators, bath salts, CBD-infused lotion, and rose gold–encrusted facial rollers—yep, the ultimate gang of top-notch wellness goodies has officially arrived. Actually, there's so much more where those came from. Meet Violet Grey's newest trustworthy product array: the Wellness Edit, a smart grouping of self-care–minded must-haves thoughtfully cultivated by the industry's best and brightest experts (just like the rest of the Violet Code–regulated site offerings, obviously). Excited? You should be. Because this is major. According to the brand, the newest edit installment smoothly streamlines the sometimes murky waters of the health and wellness world. Sure, CBD is trendy AF right now, but how are you supposed to know which lotion (out of the gazillion on the market) is the absolute best? Why, you leave it to the professionals, of course. "Our new edit pares down the overcrowded wellness space and singles out items that make you look and feel better," the brand explains. Violet Grey Beauty Director Jayme Cyk elaborates: "When curating the best in wellness for Violet Grey, the underlying theme was all about self-care. 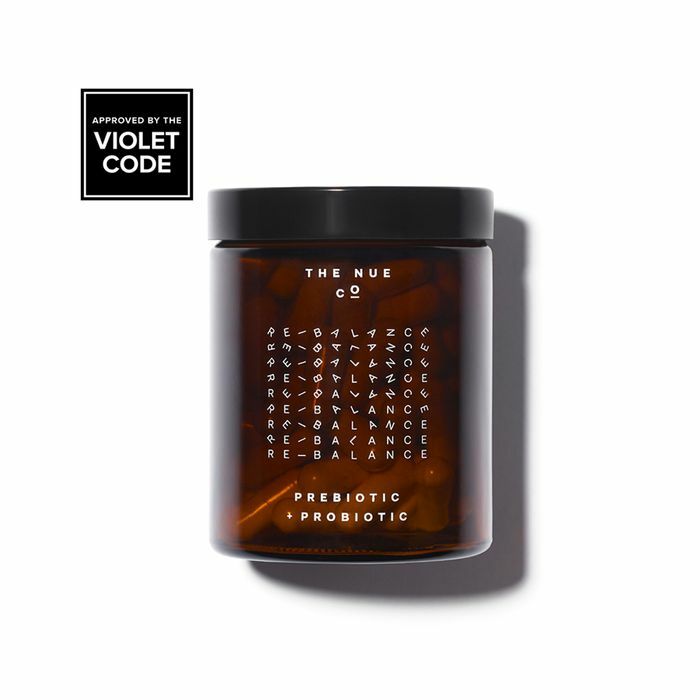 And while we found the best Prebiotic + Probiotic blend from The Nue Co. and the chicest ceramic matte essential oil diffuser from Vitruvi, we wanted to tap into an array of categories. Think sexual wellness, feminine care, and holistic pain relief," she explains. "The wellness world is quickly becoming saturated, and it was important for us to find the essentials that not only fit the stringent Violet Code standards, but products that really tell a cohesive story." Dreamy, right? Inspired, I thought I'd take the already exclusive collection up another notch and asked my fellow Byrdie editors and the staff at Violet Grey which products they're over the moon excited about. Ahead, 12 product picks from Violet Grey's new Wellness Edit we're already labeling cult classics. Keep scrolling for your ultimate shopping guide.